I don´t think I will ever get tired of the tasty little fried, salty numnums that come with just about every beer in B.A. 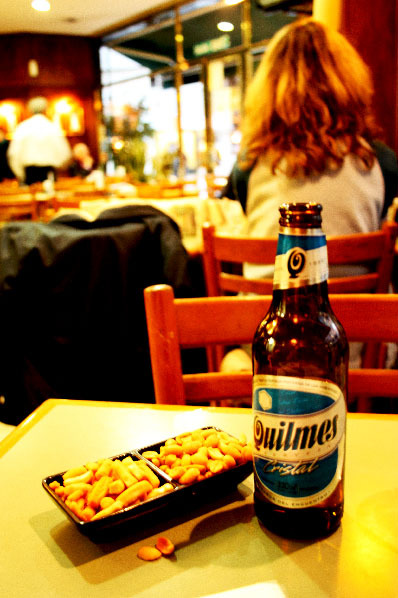 This is a Quilmes (B.A.´s Sam, although it’s way too light and watery for me…) with fried salty cylindrical chips and peanuts. A Humble, Lonely First Meal in B.A.